Police discovered the haul during an early morning search of a property in Aberdeenshire. 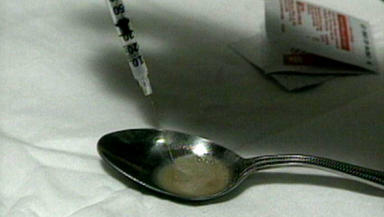 Heroin: Was found in the raid. Two people have been arrested after £105,000 worth of amphetamine and heroin was seized from a house in Aberdeenshire. Police discovered the haul during an early morning raid on a property in Finzean on Sunday, February 3. A 23-year-old woman and a 28-year-old man have been arrested and charged. They are expected to appear at Aberdeen Sheriff Court. Detective inspector Finn McPhail said: "This type of seizure is rare for the area but, thanks to valuable intelligence received, officers have been able to remove a significant amount of illegal and harmful drugs from the community."